Don’t you just love when people speak for you, unasked, assume your preferences and problematise your life without your input or approval? You probably wouldn’t allow others to do so, so why are so many projects lacking real input, engagement and leadership by the communities they are said to serve? Digital Health initiatives are due to avoid the mistakes of decades of failed development cooperation if each initiative starts with asking the question “who are the key groups that are accessing their right to health by informing, engaging and contributing to our project?”. With a background in the HIV & Human Rights sector, one of the first mantras I learnt from the communities which we engaged and were led by, was “nothing about us, without us”. This small sentence may seem so obvious in the face of the many complex challenges that are being tackled daily by governments and change actors, yet we witness failings time and time again. Conferences highlighting the need to connect the “last mile” in ensuring internet access for marginalised communities and rural areas, where those very people are missing in plan, implementation and review. Projects that are designed by high level academics who long ago stopped (if ever) consulting the communities that projects aim to reach. Project descriptions and language which leads to further exclusion of people and communities. It seems it is as easy to make this mistake as it would be to avoid it. The nuances of language-use can many times be one of the main hinders to real community engagement. Using the phrase “target group” suggests that the problem stems from an external group of people – “the others”, one which must be targeted, rather than a key group which should be involved to reveal the bottle-necks to health care provision and uptake, unlocking potential and positive change. Other established development-terminology, such as “bottom of the pyramid” and “beneficiaries” further construct a perception that marginalised and resource-low communities are inactive, lacking agency and will. It may be a symptom of a system that for a long time discounted the importance of involving key groups and leaders in communities. SPIDER, for the reasons mentioned above, specifically reviewed its own policy and practice when we planned for the programme period of 2015-2019. 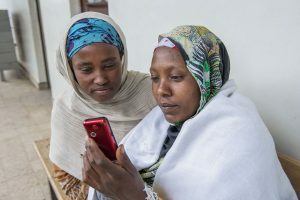 Having worked with research tagged to each of SPIDER-supported projects for a long time, we were keen to evaluate how we could improve knowledge about ICT4D projects in a way that also supports the many research institutions in partner countries. Led by Programme Manager for Research, Dr. Caroline Wamala Larsson the programme steered focus on working with researchers who know the languages, culture, national/local priorities and other specific insights most foreign researchers may miss. Already, in the projects in Transparency & Accountability, Education, and Health, this updated research programme is showing promising results, not forgetting giving the opportunity for researchers in Africa, Asia and Latin America to do the work they know best to. This is not to say that once aware of the aforementioned dilemmas and pitfalls, and given the opportunity for internal review, the problem is fixed instantly. Quite the contrary, SPIDER, like many other organisations and companies, needs to keep working with community engagement and keep questioning our own operations and methods. This work is permanently ongoing. SPIDER may seem troublesome when we in our calls for projects insist that each initiative has a needs assessment undertaken, tough by stressing there should be a gender and power analysis or that our cross cutting themes are reflected in the project partnerships, but ultimately it’s about making ourselves redundant. The key groups, which today still lack access to health, education and rights, whether young women in rural villages, socio-economically fragile communities, frontline health workers or persons with varied abilities must be allowed to steer change by being part of designing the solutions. It is not enough to invite a token participant from a village for photo opportunities. In formulating national and regional policies, all stakeholders must be represented. This is not a naïve ask for utopia, but a factual push for each stakeholder group to realise the benefits of wider participation and the principles of digital development. It is not enough to invite a token participant from a village for photo opportunities. In formulating national and regional policies, all stakeholders must be represented. Representation matters, not only because it gives initiatives credibility and weight, but because it is part of the solution for sustainability. Making visible the actions taken by local leaders, head of states, and not forgetting the traditional midwives all the way to the roles we play in our communities and families is essential to move closer to equality. A few organisations/companies excuse their lack of representation on their board or staff as the result of ‘not having enough applicants’ or that there is some sort of mystical absence of women, minorities, young or older people who engage with their work. What this should prompt these organisations to do, is to look at what they are doing wrong. How are such organisations and companies alienating groups of people? How can organisational structures be challenges and allow for greater representation of key themes, perspectives and insights? It’s likely, that by better inclusion and meaningful participation, even the products of such teams will improve. At least, there is a greater chance. Isn’t there? 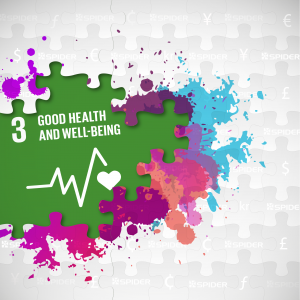 The sphere of Health & Wellbeing is vast, including both technical developers, clinical experts, behavioural specialist, campaigners and advocates for better health etc. 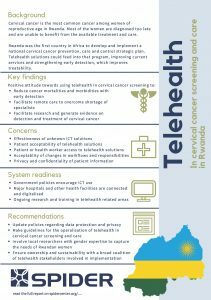 Connecting health workers, community members/patient groups, with computer scientist, politicians and businesses isn’t always easy, but it is absolutely crucial. We cannot, when striving towards Sustainable Development Goals, afford to exclude the very people who are key to development. Unless the people, who are the primary key group, are part of planning and implementation, there is a risk their exclusion by design will render the project a failure. I remember a lecture I gave at a medical school many years ago, my audience consisted of medical students who had just been addressed by a specialist clinician whose message was there being no hope of vaccines against some of our time’s most challenging viruses and the only way we can control such viruses is to do nation wide testing, whatever the cost, consent and whoever is tested. The absence of Human Rights being considered was alarming to me. The right for each individual to make decisions about her own health, clinical tests and information to inform such. I started my talk by asking the students if they themselves would like to be tested for a list of illnesses without their consent, and as expected, theoretically at that first stage, majority of the medical students said they did not mind. We jointly moved through a scenario which may follow if a test or several would come back positive. For half an hour, we explored public health through a personal as well as a practical point of view, as if they were not clinicians but just in their social and private context. How would stigma impact on themselves and their families, how would tests without information and consent change their circumstance. At the end of it all, I asked them again ‘would you like to be tested for a list of conditions without your prior approval?’. Only a handful students still raised their hands. What I want to lift forth with this anecdote is that unless the people who are the primary key group are part of planning and implementation, there is a risk their exclusion by design will render the project a failure. In order to encourage people to get tested for viruses, or to opt for a digital service, they must feel they are informed and in charge of their health and wellbeing, informed and in control of their own circumstance and be confident their data is secure. How can funders create value through investment into digital health? What is interoperability and why does it matter?